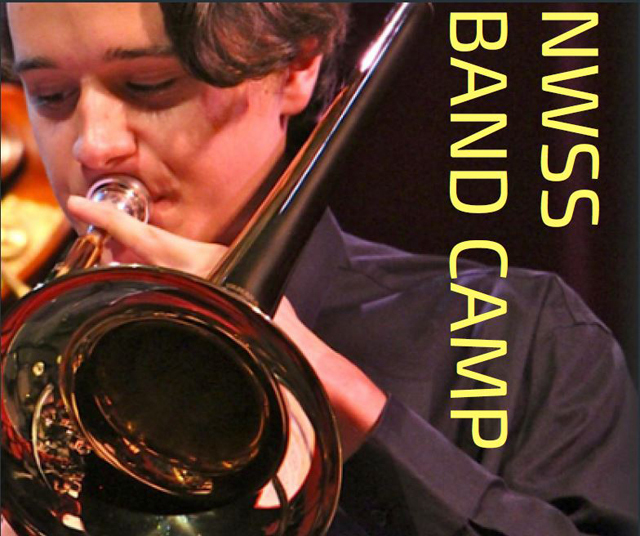 Every year, the NWSS Music Department offers the camp for students from New Westminster and beyond. It’s a chance for middle school students to make a connection to the high school, meet more senior students and teachers, and make connections. Senior students are hired to tutor younger musicians and run activities during the week. Check out our FAQ and sign up with our Registration Form Now! The daily schedule offers sessions in beginner band – newbies welcome! – and in advanced band for those with more than one year of experience on their instrument, as well as jazz band. The camp wraps up with a live performance in Queen’s Park. Students can register for as much of the three-week camp as they like. Find out more here.